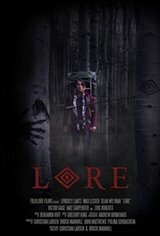 The film follows Ann, (Lyndsey Lantz) who is convinced her son is still alive after disappearing into the remote wilderness. Determined to find him despite law enforcement coming up short, she heads into the wilderness with her estranged husband and a Native American friend familiar with the area and mysterious stories that surround it. But after finding reason to believe he is close, they are quickly forced to fight fight for survival as strange occurrences become increasingly menacing.